My shocking and woeful cover drama...and yet another new cover! So, as I told everybody in tarnation on Wednesday, Mr. Real got an awesome new cover! And now I’m not going to use it!! We got the angsty guy image from a royalty-free stock site, where you look for pictures you like and then pay for the rights to use them. It’s where pretty much everyone who doesn’t have thousands of dollars to spend on a live model shoot or exclusive custom art or photography gets their images. The thing is, different people can pay to use the same photo. That’s why you often see the same images on different books. And why you see funny posts like this one that my naughty friend Chris makes in her “Misadventures in Stock Photography" series. Where have I been? Trying to stay alive, brothers and sisters. 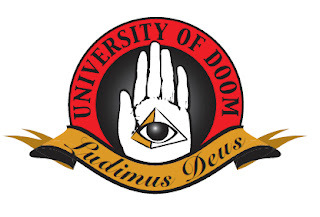 Big secret numbero dos: My YA novel, the University of Doom, with its own website, ribbed for your viewing pleasure. Depending on the breaks, expect the manuscript to to be published with fanfare worthy of the Second Coming! Or as an ebook. I'm juicing the buzz with these Lego videos.